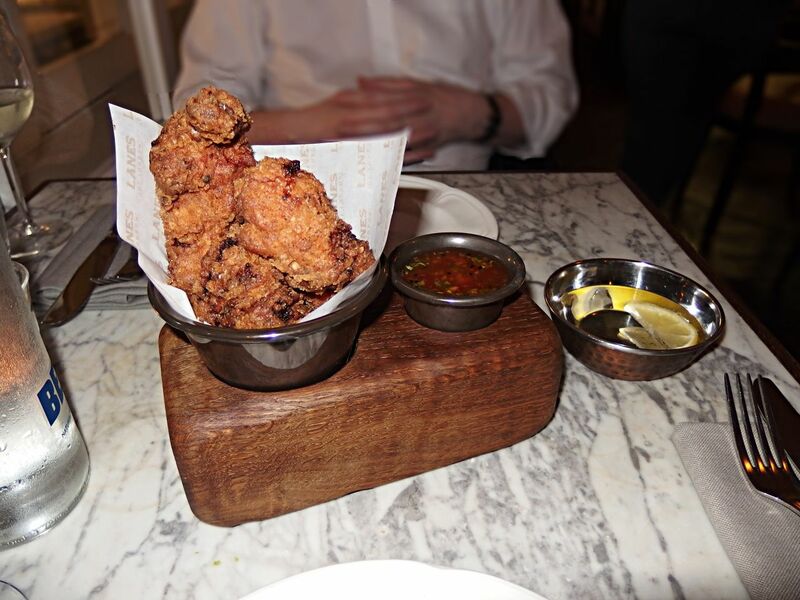 After the visit to The Shard, dad and I whizzed off for dinner at Lanes of London which is just off Marble Arch in Park Lane. 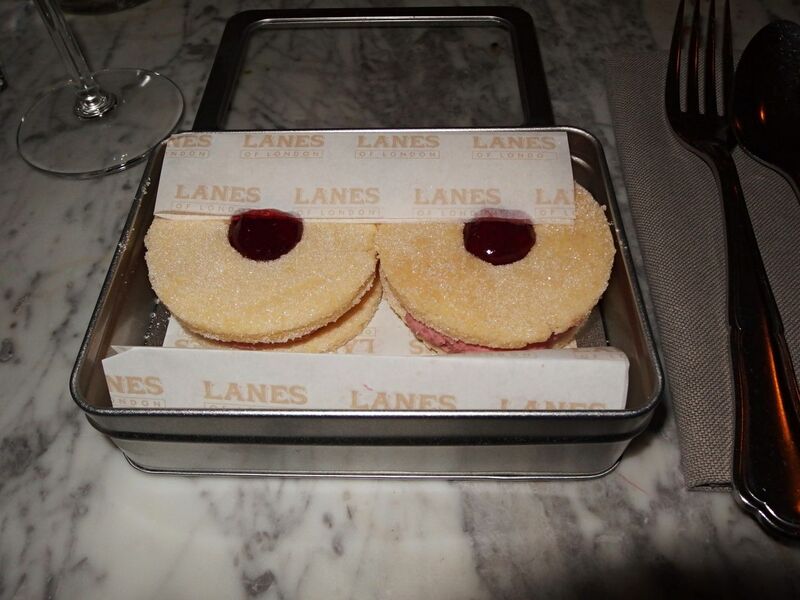 I had heard some really good things about Lanes and also was dying to try one of their unique desserts, so it was the perfect place to catch-up over dinner. Inside Lanes of London there is a large bar area and then the restaurant at the back. 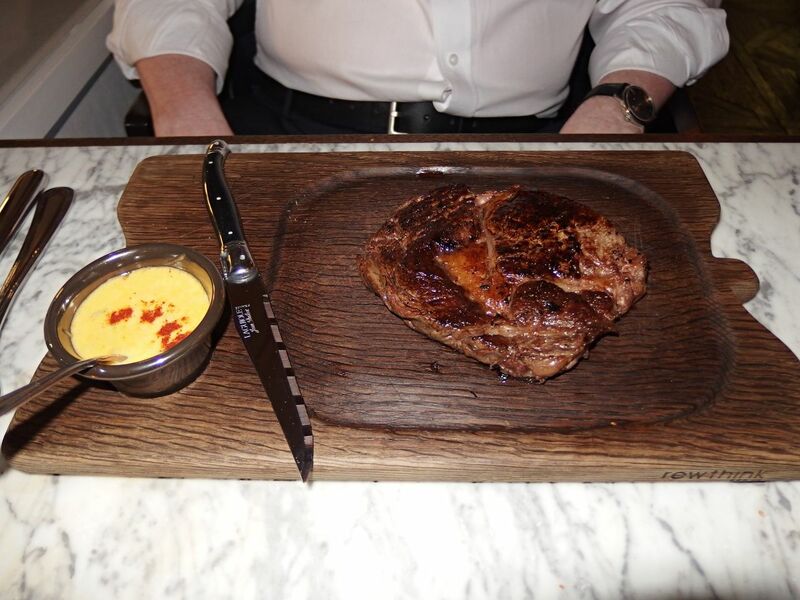 We were seated through in the restaurant and after a pre-dinner tipple at The Shard I was definitely getting hungry. 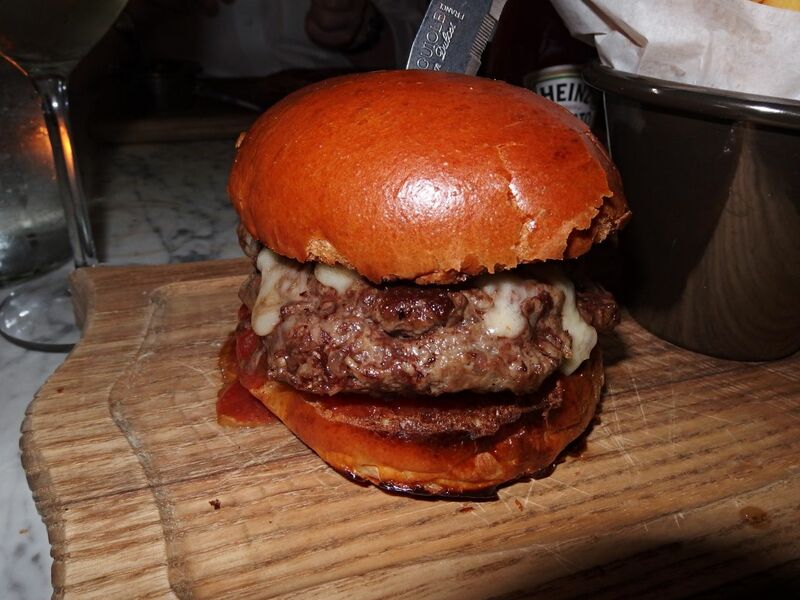 The menu at Lanes of London is a mixture of British classics and London inspired street food. You can either have a mixture of smaller plates such as fried chicken wings, fish and chips, marinated barbecue skewers or mac and cheese. Then the larger mains include filling choices such as buttered chicken, sirloin steak and roast wild cod. Dad and I ordered a bottle of the New Zealand Sauvignon Blanc which was absolutely lovely, so crisp and fresh tasting and then decided to go for a smaller plate as a starter to share as I had my eyes set on one of the bigger mains. 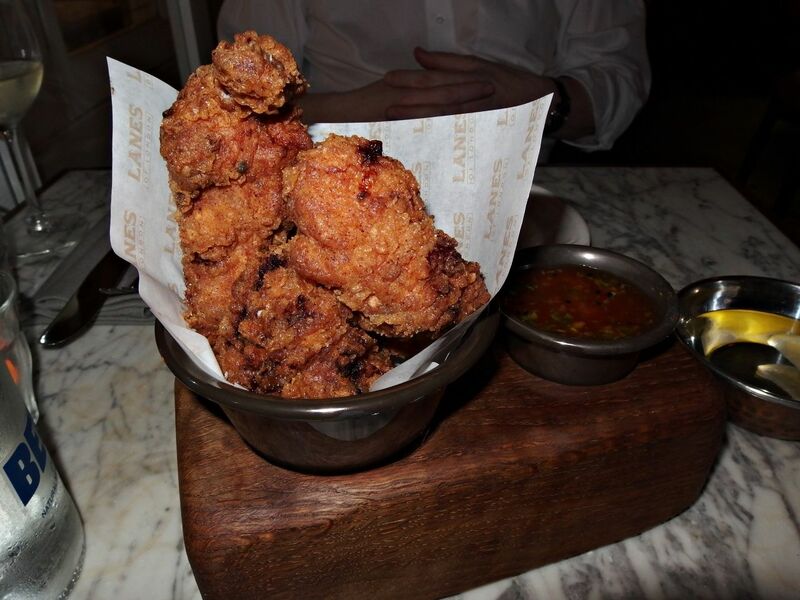 We chose the fried chicken wings with honey and sesame dipping sauce. These were absolutely so delicious. I am pretty much drooling over the picture again of these as they just tasted so amazing! I wanted to order just plates of these. I digress from the wings and onto the cute little dipping bowl to wash our fingers in afterwards. 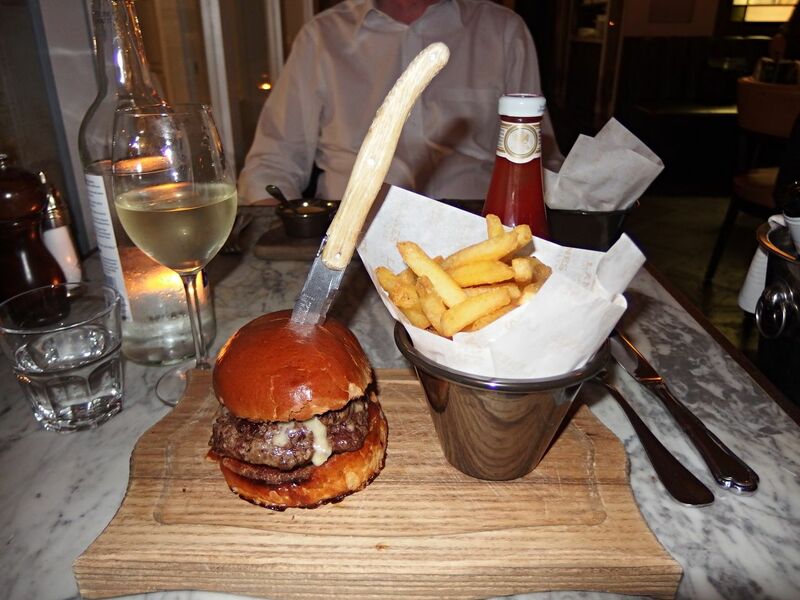 For mains I chose the Lanes Burger which is a 6oz burger with Earl Stonham farm 28 day dry aged beef with British cheddar and accompanying chips. I was a bit disappointed they had run out of sirloin steak at 7pm but none the less I was equally happy with my choice of burger. When it arrived it looked really good and tasted it too. The beef was cooked medium to perfection and I enjoyed every bite. 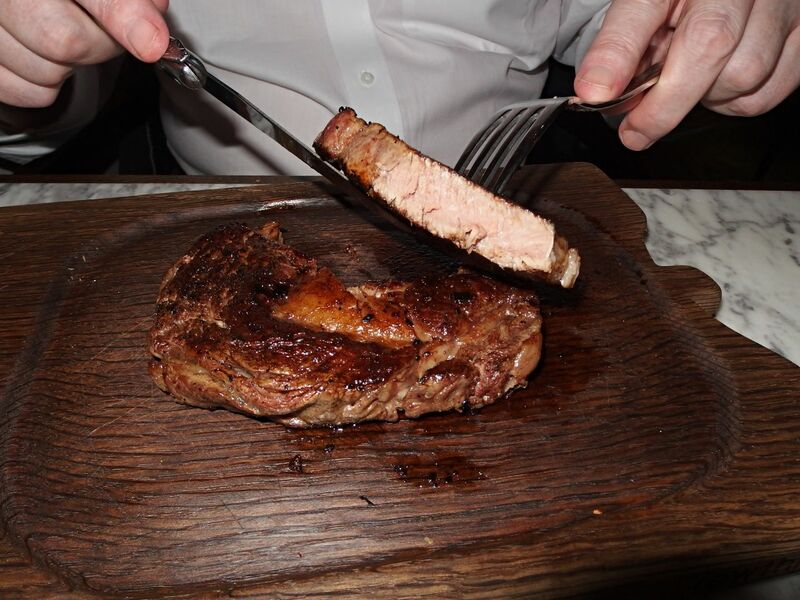 Dad chose the rib-eye steak, only two left but the waiter managed to make sure he had one, phew! It was cooked again to perfection and was lovely and juicy, this came with slightly bigger chips that tasted really good. 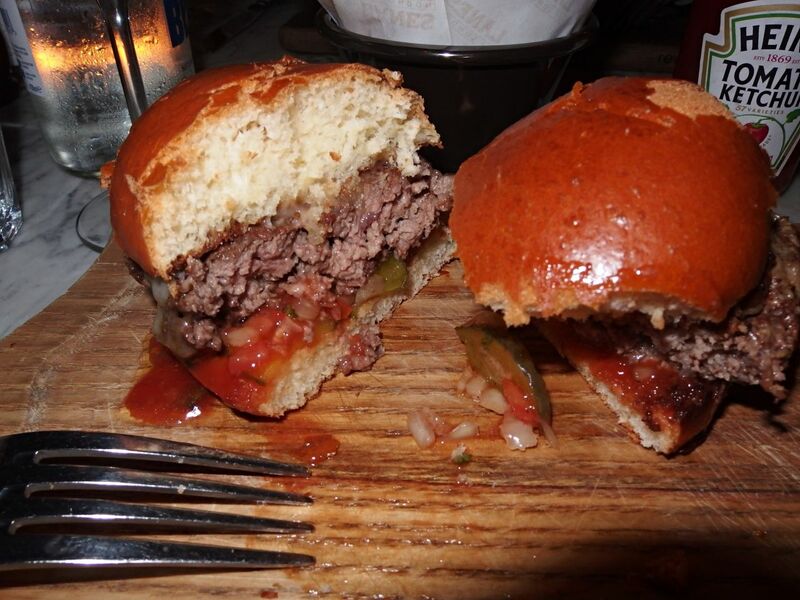 If you fancy it go for the rib meat roll, baby back ribs in a hot sauce and bun, it sounded amazing. 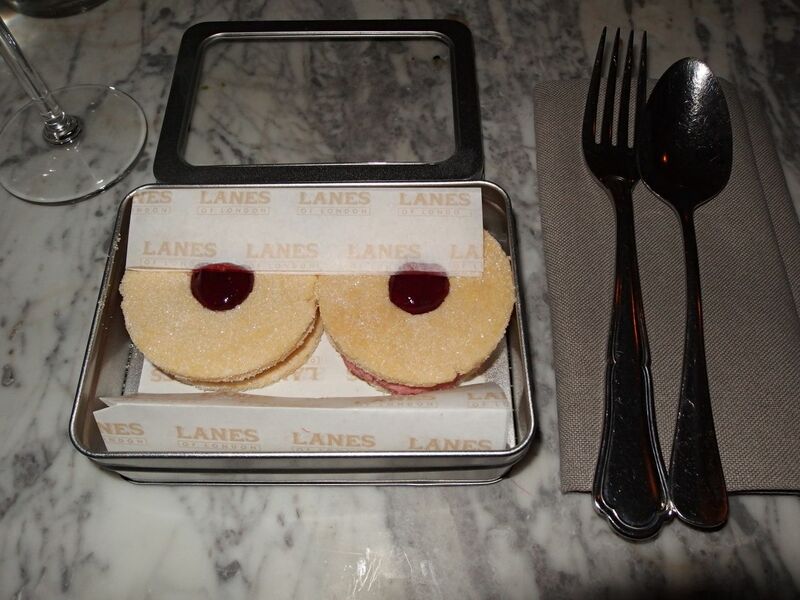 Onto desserts which I was super excited about, it was time for the jammy dodgers! These are two dodgers made from homemade shortbread, strawberry jam, homemade strawberry liquer and strawberries & cream. These came presented in a cute little silver tin with the Lanes of London paper, I can’t explain how good these tasted, just lovely. 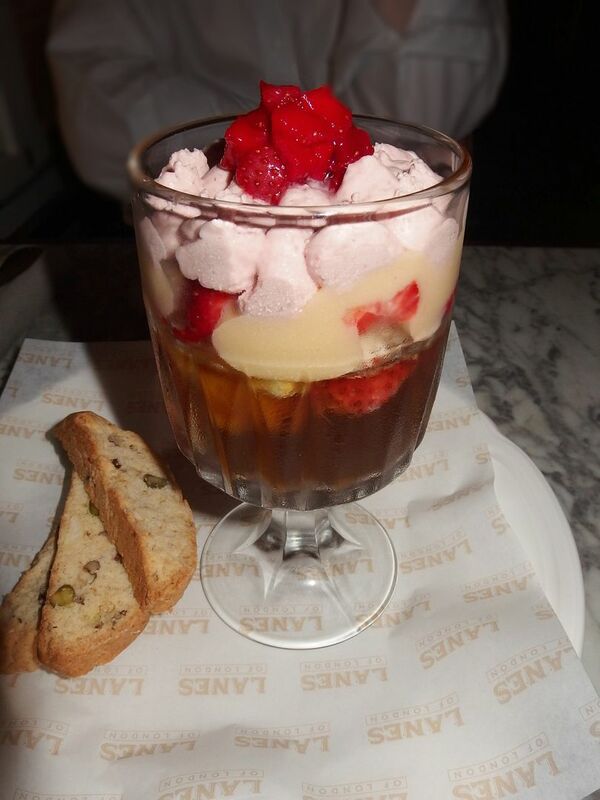 Dad had the Pimm’s trifle which after never having Pimm’s before, he seemed to like. We then finished up over a couple of Le Fizz cocktails! 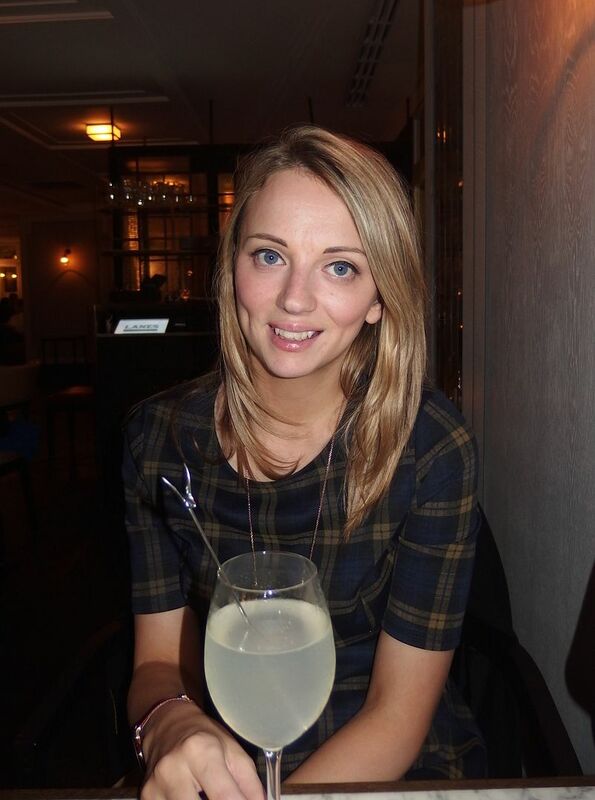 We both had such a lovely meal at Lanes of London that I would highly recommend it, the service and staff were very friendly and attending and the food matched up perfectly. I will definitely be going back! For more info and to book visit lanesoflondon.co.uk.